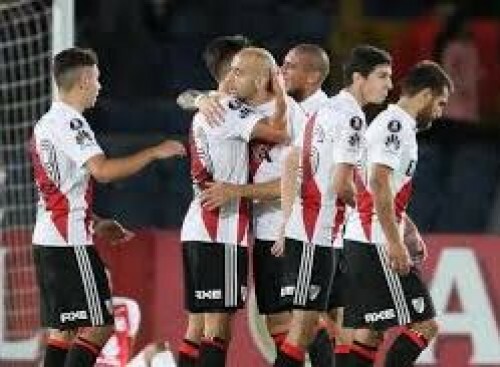 Buenos Aires (Argentina) : River Plate beat San Lorenzo 2-0 in the last round of Superliga Argentina, finishing a disappointing 8th in the standings, 13 points behind champions Boca Juniors. Ignacio Fernandez put River up 1-0 with a goal in the 54th minute of Monday's match and Colombian Rafael Santos Borre made it 2-0 on a goal in the 82nd minute, reports Efe. River Plate qualified for the 2019 Copa Sudamericana, while San Lorenzo finished the season in third place, with 50 points, and qualified for the 2019 Copa Libertadores. The Copa Libertadores is South America's premier club soccer tournament, while the Copa Sudamericana is the region's secondary club tournament. Last Wednesday, Boca Juniors tied Gimnasia y Esgrima 2-2 in La Plata, winning its second straight Superliga Argentina title. Boca Juniors finished the tournament with 18 wins, five defeats and four ties. Boca has now won 27 Argentine league titles, but the club still trails River Plate, which has won 35 championships. Uruguayan Santiago Garcia, who plays for Godoy Cruz, scored 17 goals, finishing as the Superliga's top scorer. Patronato's Sebastian Ribas, another Uruguayan, and Argentine Lautaro Martinez, who plays for Racing Club, were the No. 2 scorers, with 14 goals.